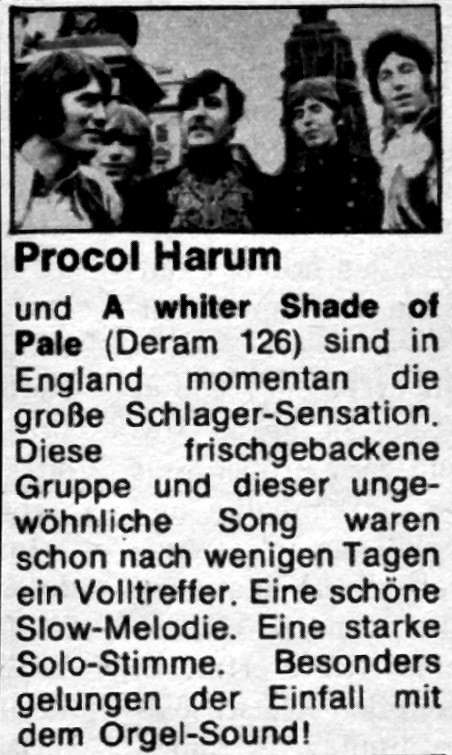 "Procol Harum and A Whiter Shade of Pale (Deram 126) are right now the big pop sensation in England. This fresh-baked group and this uncommon song made their impact even after a few days. A beautiful slow melody. A strong lead vocal. Well done the idea with the organ sound."